Finance Minister Pranab Mukherjee is either incredibly clever or a budding illusionist. Little else can explain his presentation of the Union Budget on Monday, February 28. Buoyed by liquidity, global funds have beaten domestic ones over the past six months. The rally is expected to continue, especially for commodity funds. 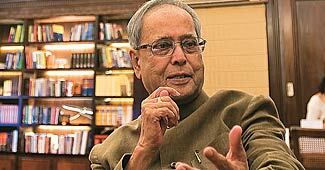 Pranab Mukherjee's latest budget speech listed some welcome steps like a million-a-day Aadhar numbers, a roster of delayed financial legislation, and the first stabs at routing cash subsidies directly to the poor. By and large, however, it was a safe budget. Director, Lite Bite Foods; and Vice Chairman, Dabur Foods Amit Burman talks about what works for him. The $9-billion deal between Reliance Industries and British oil major BP could open fresh chapters for both. For RIL, the BP deal could mean a way out of its current stagnating situation. For BP, the tie-up comes as part of its continuing efforts to reposition its operations. M.S. Swaminathan says the future of agriculture depends on youth in farming; and on providing the economy and power of scale to farm families operating small and marginal holdings. In the hunt for talent, many Indian organisations are arming themselves with a formal strategy to employ and retain women, says a study. If the state of markets at the start of 2011 is any indication, the See-saw Sensex (BT cover, March 6) may continue in that mode throughout the year. But there is no need to panic. Can tying up help Nokia and Microsoft stay relevant in the world of mobile devices? Manmohan Singh must recover the spirit of 1991 and become a reformer again to restore the credibility of his government, argues Gurcharan Das. Should the RBI persist with a high interest rate regime to tame inflation?